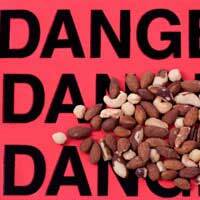 Home > Food Allergies > Can Avoiding Peanuts Make Children Allergic? Parents who already have children who suffer from nut allergies will already know what a distressing condition it can be. As well as carefully vetting foods which come into the house for traces of nuts, parents also have to make children aware that foods consumed at birthday parties, in takeaways or at restaurants can kill. After all, just one stray peanut - or the inhalation of peanut dust - can trigger spectacular reactions, including anaphylaxis, which has to be treated immediately by medical professionals. Because of the highly-volatile nature of this allergy doctors have previously advised pregnant women to avoid peanuts and not to give them to infants. However, brand new research offering fresh insights into the science behind allergy, is turning that advice on its head. In December 2008 the Food Standards Agency's Committee on Toxicity conducted its own research into the issues surrounding nut allergies. They found that, even in high risk groups where both parents had a history of allergies, there was no need for women to change their diets. Their research suggests that in some cases exposing children to allergens in the womb actually reduces the incidence of nut allergies in newborn children - while keeping them allergen-free may exacerbate the potential condition. Though startling, the advice has yet to be officially adopted by the Department of Health until further investigations are made. It does, however, offer a fresh perspective into the way allergies may occur in infants. Underling this research comes a new study, published in February 2009, which suggests a possible cure for kids with peanut allergies which works by exposing children to peanuts in controlled doses. As part of the study a research team based in Cambridge introduced children to low doses of peanut flour over a space of six months, Right at the start children took 5mg of nut flour - which was ultimately increased to 800mg (the equivalent of up to five peanuts) as the study progressed. By carefully controlling their exposure, none of the children suffered from allergic reactions. The study follows on from unsuccessful trials performed in the 1990s using peanut injections. Though the results do have to be confirmed by further research, the data may prompt a brighter future for the one in 50 children in the UK that suffer from allergies to peanuts. What Should Parents do to Protect Kids? So how should parents interpret this research? As usual the best place to get help and advice is your GP - who will be able to advise with the benefit of knowing you - or your child's - medical history. But whatever the results of future investigation, one thing's for sure, your kids may be better a lot sooner than you think. Thankfully, research from the US suggests that in a quarter of cases children simply grow out of nut allergies on their own. Until then, when dealing with peanuts in everyday life, it's still far better to be safe than sorry.